Size of this preview: 374 × 599 pixels. Other resolutions: 150 × 240 pixels | 2,342 × 3,748 pixels. 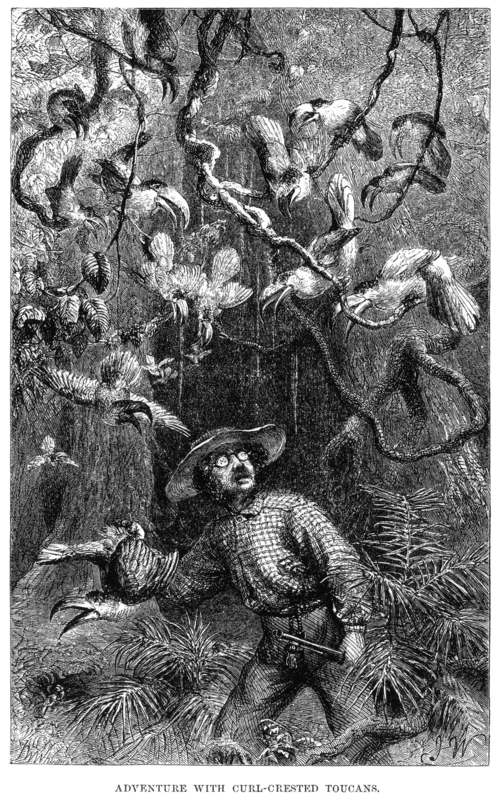 Description: Caption: "ADVENTURE WITH CURL-CRESTED TOUCANS." This image was the frontispiece to volume 1 in the two volume publication. 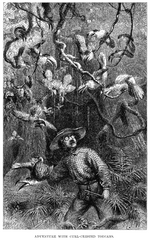 The next image, Image:Naturalist on the River Amazons figure 31.png, shows a toucan in greater detail. 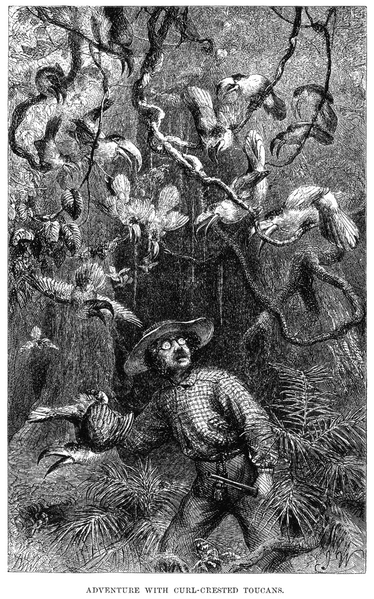 Credit: Scanned from The Naturalist on the River Amazons by Henry Walter Bates, University of California Press version, published 1962. This page was last modified on 19 April 2017, at 17:40.